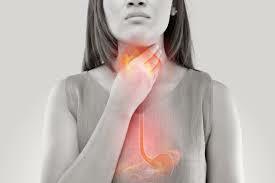 The acid reflux better known as the gastro-esophagus reflux disease (GERD) in science is a condition that causes the splashing of the acid into the esophagus. Acid reflux commonly referred to many as the Heartburn is characterized by a burning sensation just behind the breastbone. The sensation sometimes goes up to the throat. Acid reflux is caused when a ring of muscles in the lower esophagus sphincter relaxes when it is not supposed to relax. This relaxation causes the food and acid in the stomach to go up the esophagus causing the acid reflux condition. Just imagine of acid burning in your throat to get a better meaning of the acid reflux condition. Nothing feels bad like having the heartburn after a good meal. The acid reflux causes irritation, scarring, and inflammation in the esophagus. It is a bad feeling that increases the risk of esophageal cancer. Some of the immediate symptoms include hoarseness, nausea, irritation, burning, food getting stuck, wheezing, coughing and asthma. Most people who suffer from acid reflux rush to get over the counter medications for immediate relief but home remedies can be as effective without the trip to a pharmacy. This article discusses some of the home remedies for acid reflux. When you’ve taken some foods rich in fats or just spicy, the following home remedies can help you get relief from acid reflux. Baking soda is a base and can help neutralize the acid in the esophagus giving you immediate relief from the heartburn. One teaspoon of the sodium bicarbonate can give you the much-desired relief. Sodium bicarbonate has a pH of more than 7 making it a great base to neutralize the acid in your esophagus and stomach. Mix one teaspoon of baking soda in a glass of water not more than 8 ounces. Stir it properly and drink it all at once. You should get immediate relief from the burning sensation. The same procedure can be repeated but make sure you don’t use more than � teaspoon of the sodium bicarbonate in a period of 24 hours. The high salts in the baking soda can cause some swelling or symptoms of nausea. The aloe plant is known to have many health benefits with people using it for sunburn. However, it can help bring relief to the burning sensation in your esophagus by reducing the inflammation. The inflammation of the esophagus slowly eats away part of your esophagus. You will need : a glass of Aloe Vera juice to calm things down and prevent the inflammation. You can take the Aloe Vera before the meals if you know you will suffer from acid reflux. Aloe Vera can also act as a laxative so be sure to buy the right brand that is not laxative. Most people chew gum to eliminate the smell of garlic acid, but chewing gum can do more than just clear the garlic smell away. A study done by the Journal of Dental Research showed that chewing gum creates relief to acid reflux conditions within 30 minutes. The ideal gum should be sugar-free. Chewing gum has been proven to increase the rate at which saliva is produced. More production of saliva easily clears away the excess acids in the esophagus. Clearing acids from your esophagus help improve the symptoms of GERD making people get relief after meals. One piece of sugar-free gum is enough after a meal to get relief within 30 minutes. Licorice has been found to offer relief to heartburns although research in the use of licorice is still limited. Research shows that licorice has some natural healing properties that can help clear any problems with the acids in your stomach. Remember the acid in your esophagus causing the inflammation and the irritation comes from your stomach. Being able to control the excess acid in your stomach can help the GERD. The content of the stomach as supposed to be acidic and antacids are never the solutions. Your stomach is supposed to be acidic at all times and taking antacids is just a temporal solution. Taking excess of the licorice can be dangerous increasing your blood pressure. There are DGL licorice chewable tablets available in the market that does not have the food like the taste of licorice you can take. Acid reflux cases are not always caused by having excess acid in your stomach as most people might think. The over-the-counter prescriptions all imply that there is the excess production of acid in the stomach causing the acid reflux conditions which are not always the case. In most cases, acid reflux cases are caused by having low amounts of acid in your stomach. The relaxation of the lower sphincter muscles occurs when the stomach does not have enough acid. So it is actually the acid that causes the lower sphincter muscles to tighten. When you don’t have enough acids in your stomach, your lower esophagus sphincter will only tighten causing the acid to be splashed back into the esophagus. If you think this is the reason you’re suffering from acid reflux, then taking more of the acid might help prevent further acid refluxes into your esophagus. One tablespoon of raw, unfiltered acid vinegar mixed with 6-8 ounces of water can help you get relief. Make sure you take this mixture before meals or before you go to bed. You should be able to get immediate relief otherwise discontinue use. Excess use of the acid vinegar might also cause other problems. Ginger root has been known to heal various stomach problems over the years and can help with the acid reflux. Get a sized piece of ginger root and slice them before simmering them in a cup of water for 30 minutes. You can then either remove the ginger pieces or leave them in the cup. Pour the solution into a glass and drink it 20 minutes before a meal. Sipping on gingerroot tea 20 minutes before taking any meals helps calm the stomach. It acts a great buffer to the acid once you’ve taken your meals preventing any acid reflux cases. Bananas are natural antacid and can help neutralize the excess acid in the stomach if that is what is causing the heartburn. The banana will act as a natural acid buffer preventing the acid from splashing to the esophagus. Make sure you have a bunch of bananas in your kitchen and let them ripen up nicely before taking one each day. Eating an apple daily will also help create some relief to the acid reflux condition. Eating an apple some hours before bedtime helps prevent any discomfort. It is good to have your fridge filled with bananas and apples if you know you suffer from acid reflux diseases. Slippery elm is another great option that has been widely used in several herbal medicines to treat various illnesses including the acid reflux conditions. Slippery elm is a tree extract that is used to create a coating of the stomach and the esophagus acting as a barrier against the acid. It creates a great protective coating to the stomach and the digestive gut thus preventing the symptoms caused by the acid. It can be taken before meals or when going to bed. Changing your diet might help prevent cases of acid reflux. Prevention is always better than cure and getting to get rid of foods that cause the acid reflux condition will be the first step in dealing with it. The first thing before you make any changes to your diet is tracking the triggers of your heartburn. What are those foods that give you heartburns? It is never easy to track your acid reflux triggers but with dedication and time, you will be able to list down all the foods that cause acid reflux in you. Sugars and processed foods are more likely to trigger acid reflux cases than natural foods. Processed foods and sugars create acid and bacterial imbalance in the stomach leading to acid reflux and should be avoided. Eating vegetables and fresh fruits is a great way to combat this condition. Taking a banana or an apple a day will keep you away from the over the counter medicines for GERD. You might also want to include some of the best probiotic supplements in the market to help with bacterial balance in the stomach. The digestive enzyme supplement in your diet is another great way to combat the enzyme reflux cases. Almost all natural foods contain some form of the digestive enzyme, but the act of cooking the food at high temperatures denatures the enzymes making them ineffective. Only raw and living foods have digestive enzymes which are usually destroyed by cooking. You might want to include some digestive enzyme supplement to your diet if you are to prevent the acid from splashing up your throat. There are several digestive enzyme supplements in the market to choose from so make sure you get one to help you with your acid reflux problems. Alcohol and smoke can worsen your acid reflux symptoms. Alcohol and the nicotine are the cigarettes all work to loosen your lower esophagus sphincter. This makes it quite easier for the acid to get its way up the esophagus. Alcohol is generally a stomach irritant and will disturb your stomach setting the conditions right for the acid to be splashed. You must quit smoking and drinking of alcohol or do it in moderation. Individuals who drink alcohol and smoke often suffer from acid reflux cases than those who don’t. Smoking + alcohol equals to a serious heartburn. Wearing tight clothes that hold your waist tight will worsen your acid reflux condition. The tight clothes put a lot of pressure to your lower esophagus sphincter causing it to tighten further. This causes it to splash acid up the esophagus resulting to acid reflux. Tight super jeans will make your waistband sink into the band when one sits down. Tight shirts and belts will also do the same making your lower esophagus to be put under a lot of pressure. Try to change what you wear if you notice to be affected by acid reflux. Wearing loose clothes might be a solution to your condition. The clothes worn should not hold your waist tightly. People who weigh a lot of weight suffer from acid reflux more often than people who with less weight. The excess weight adds pressure to your lower esophagus sphincter muscles causing them to tighten and splash acid up the esophagus. The lower esophagus sphincter muscles will loosen over time and eventually weaken leading to regular acid reflux occurrences. Maintaining a healthy weight is always recommended as a way to prevent cases of acid reflux conditions. A healthy weight has several other health benefits apart from reducing your chances of suffering from GERD. Taking a cup of chamomile tea every day before going to sleep will also help reduce the acid reflux symptoms. Chamomile tea helps reduce the inflammation in the esophagus giving the affected person relief. The chamomile tea also helps balance the acid levels in your stomach preventing the acid reflux symptoms. Chamomile tea has several other health benefits relieving individuals of stress which is a great cause of acid reflux. Persons who are stressed more often suffer from acid reflux on a regular basis than people without stress. Make your fresh chamomile tea or buy the instant one. Snacking on almonds might also offer acid reflux relief by neutralizing the acidic juices in your stomach. Almonds are a natural remedy to heartburns and have been for long periods to bring relief to people with heartburns. Take your almonds every time you eat some meal, and your acid reflux symptoms will go away. The natural remedies above will offer you relief to your acid reflux symptoms and prevent you from visiting the pharmacy all the time. They are more effective than most over-the-counter medications and cheaper way to take care of your acid reflux conditions.